Moving to or from the Virginia Beach area? We can help! Trustworthy, dependable Virginia Beach movers who are in touch with the community. Expert service. Stress-free moves. No hidden costs. Our experts can make any move fast and stress-free. You'll be enjoying your new home, no matter how far away, before you know it. An interstate agent for Stevens Worldwide Van Lines. Whether your needs are short-term or long-term, our climate-controlled warehouse is the perfect solution. No distance is too great. As an agent of Stevens Worldwide Van Lines, we have contact with over 350 moving partners across the globe. Short on time? No problem, we have experience providing prompt, efficient relocation services to members of the Armed Forces. Thank you for your service. We have all of your packing needs covered, making us a one-stop shop for all your moving needs. Get packing tips and supplies here. From pianos to antique furniture, we handle all of your belongings with the utmost care. No matter how large or fragile, just leave it to our pros. Our team is experienced in relocating businesses with safety and security, with minimal downtime for your business. Please plan on taking important and valuable items such as money, jewelry, coin collections, medicines and important papers yourself. We cannot move items that are flammable, explosive or corrosive due to safety issues. This includes aerosol cans, fire extinguishers, paint and paint cleaners, ammonia and bleach. If you plan on moving your wine collection, please understand that temperature variations, which can occur on a truck, may have an effect on the wine’s flavor profile. You may want to consider moving wine yourself to avoid any potential issues. Are you moving to or from the Virginia Beach or, Richmond or Tidewater Area? Whether you’re moving across the state or to another state, My Guys Moving & Storage of Virginia Beach is here to help with your moving and storage needs. We have over 25 years of experience as a top-rated moving company in Virginia and can carry out any move safely and efficiently. Our movers are highly trained and experienced in carrying out residential, business, long distance and large local moves to or from the Virginia Beach area. We also offer long-term and short-term storage solutions for all your Virginia Beach storage needs (in Richmond, VA). Store your belongings in our safe, climate-controlled storage warehouse during your next Virginia Beach area move. 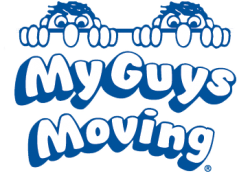 No matter your moving and storage requirements, My Guys Moving & Storage is ready to help with your move. We focus on long distance moves and storage in our Richmond warehouse. We preform larger local moves from Richmond. Our movers in Virginia are well-versed in all aspects of both household goods moving and office relocation, so no matter what your moving and storage needs are, we have the perfect solution. We are a full-service mover servicing all the Tidewater and Central VA regions, meaning our expertise goes beyond simply loading and unloading your moving boxes. Our crews are friendly, knowledgeable and passionate about giving you every tool you need for a successful move, and then some. We offer comprehensive guides with moving help tips, and proper packing techniques. As trusted Virginia Beach and Central VA movers, we’re proud to serve the moving and storage needs of our clients and our local community. Whether you’re moving to a new home or moving your business, moving is a lot for one person or family to handle on their own. Our team of professional movers and packers will take great care of your belongings ensuring that your items are safely protected during relocation or while in storage. It is our goal to make sure you and your belongings reach your new destination safely. “A” Rating With BBB & Excellent Online Reviews – 4.9 Star Google Rating. Climate-Controlled Storage Warehouse in Richmond VA..
My Guys Moving & Storage is a leading name for moving and storage in Virginia. The reason is simple: our honest, professional and dependable service. That’s the difference we bring to every moving and storage job. We love living up to our reputation of exceptional service with no hidden costs. Every customer is important to us, so we make sure we deliver topnotch moving and storage services tailored to your requirements. We guarantee your residential or office move runs smoothly. Are you ready to move? Do you need short-term or long-term storage solutions? Contact My Guys Moving & Storage. Give us a call at (757) 463-3001 or fill out our estimate form to get your free in-home quote, phone estimate or video survey!